The scents of blossoms in the wind. [ka-fuh] is made from selected natural organic ingredients by incense craftmen. 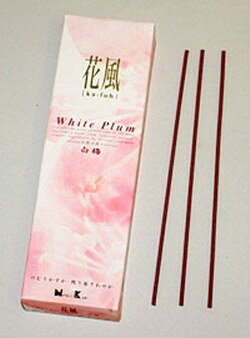 No wood core for ultra clean burning; this is one of the "luxury cars" of Japanese incense. This scent is clean, and slightly fruity. It has no oversweet overtones, and it easily accents and energizes any environment.